The Duran table base is designed to provide a simple yet powerful setting for its spectacular Borosilicate glass top, which has an organic quality not found in any art glass. Each table is unique. 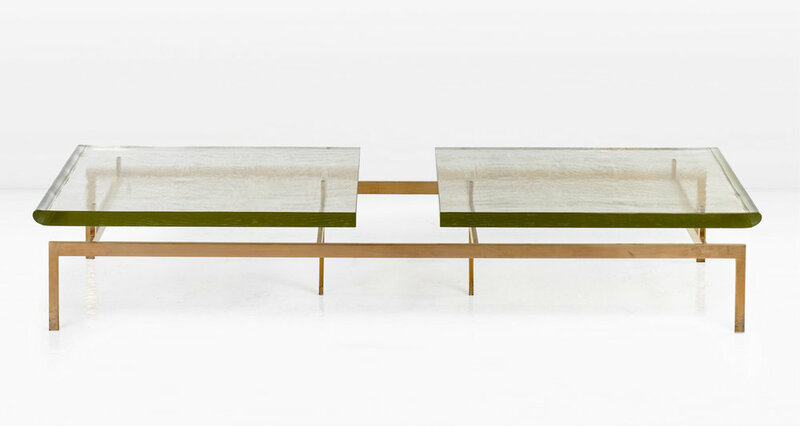 Shown with a solid Silicon Bronze base and clear tops with rolled edges (last 2 images shown with Nickel base). The tops are available with rolled or square polished edges. Silvering available only on the version with square polished edges.